For 26 years now, the Ballina Soroptimists have curated the beautiful Festival of Flowers as part of the Ballina Festival Programme. This year the theme is “Ballina in Bloom”. Each arrangement will interpret that theme in its own unique way. The Flower Festival is an inclusive event that brings together many different groups from the community, including the four churches. Groups participating include Ballina Tennis club, the Moy Singers, Ballina Chamber Choir, The ICA, The Ballina Country Market, Ballina Tidy Towns, Belleek Woods, Ballina Carers, The Mothers Union, Prayer Group, Ballina Salmon Festival Committee and the Soroptimists themselves. 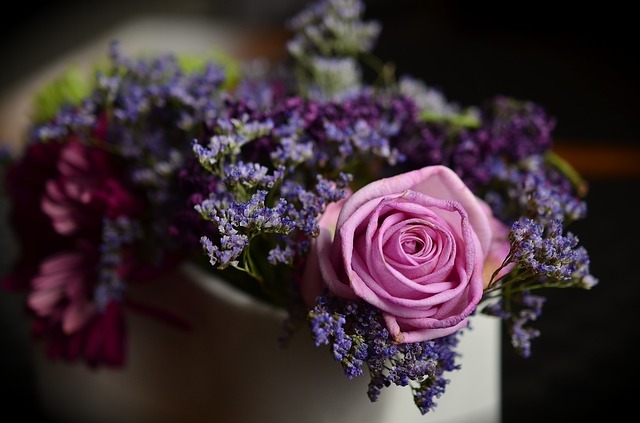 The event is hosted each year by the Methodist Church on Hill Street and members of the public are invited to come in and enjoy the beautiful floral displays, lovingly created by the various groups. Interested in submitting an arrangement? Contact Patricia on 087 4196587, Laura on 086 8432863 or Marie on 087 7988132. Soroptimists inspire action and create opportunities to transform the lives of women and girls through a global network of members and partnerships. The Ballina Soroptomists branch is just one year younger than the Ballina Salmon Festival. It was formed on 27th January 1965 in the Downhill Hotel (now the Twin Tress Hotel). Renée Sherry was the very first president.